To get a proper image of Joe's life we need to begin with a New York City setting during the summer of 1967. Joe and his close friend Arthur Turco busked the street corners of Greenwich Village. Arthur wrote the music and Joe wrote the lyrics. They sang to Artie's guitar while Joe also painted for hand outs. Soon after, back home in West Babylon, Long Island, they formed a rock band named SHADES OF DESTINY. It drew local popularity. But his father enticed the boy into the "family" business. Joe spent the first 44 years of his life professionally designing and cutting stone as a monument builder and architect. An interest in computers and programming afforded him early exposure to CAD and he developed his own CAD program (OurCAD, 1991.) His interest in the world of computers and electronic communications lead him to be the first in his industry to build on the Net (1981). The name PEGASUS is a moniker given to him from the barrooms across Bay Shore, New York. Joe had a customized a 1979 work van (150 Ford) with an impressive air-brush painting covering the entire outer surface. It's theme was the movie, 'Clash of the Titans' wherein the horse Pegasus is a character and filled an entire side of the van. During the 1970's his interest in computers and networking lead him to form an art studio called ADSTONE Designs. It was, for a time, the third largest art studio in the memorial trade. But the Internet and webmastering ended Joe's stone cutting career. He created and built ADSTONE.net, which began as an Internet domain to service the Death Care industry and, at its height, had more access points than AOL (1994). That move, when those farming the Internet were hard working pioneers, cut his income close to the line of poverty, but, as we all know, a poor artist is a better artist - and that suits Joe just fine. 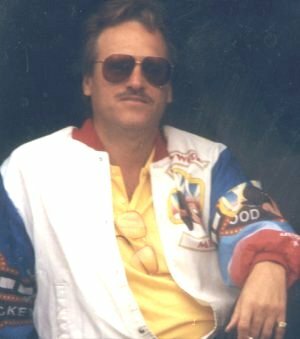 He sold off the residential portions of the Network (SuffolkOnline.com, BabylonTown.com and others) in the nineties. During this time Joe established MyDrawingBoard. MyDrawingBoard is actually the original ADSTONE Designs online and the world's oldest and largest archive of Commemorative CAD drawings. Until his retirement in 2015, he remained the only webmaster for the site and one of its largest contributors of artwork. It is widely accepted that Joe is the most prolific writer on the Net with over 13 gigs of webpages and design work created by him alone. MyDrawingBoard has archived over 600,000 individual works of art. Close to 12% of the art is his. This website features mostly Joe's fine art, cartoon and comic work. His many books - both adult and children's books - and all his essays, articles and poetry / lyrics as well as his songs and music videos are all here. He and his wife Cathy reside on their 10 acre farm in South Carolina. Copyright 1992-2018, Joe Auricchio, All rights reserved.